I am thrilled to be working with an amazing team of talented, creative folk in this production, really digging into the work. We’re opening soon and I’m really excited to have you experience the premier presentation of this beautiful piece. 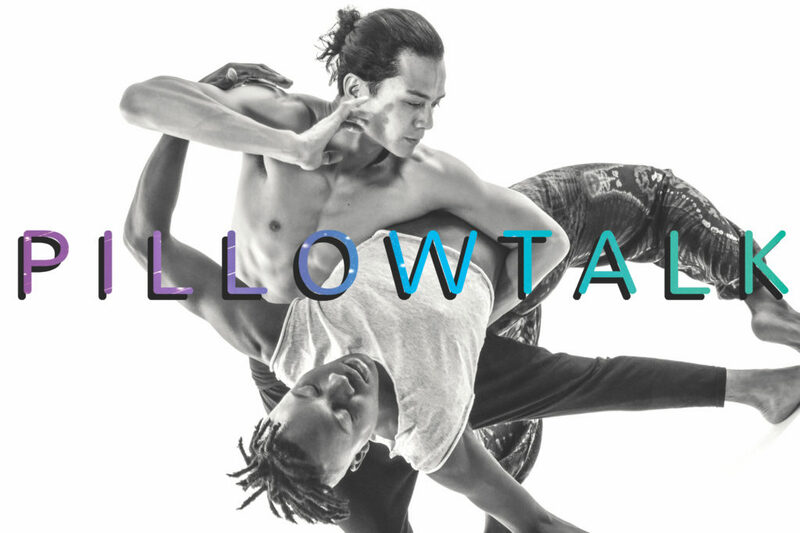 “Community Partnerships & Long Table Events Announced for PILLOWTALK by Kyoung’s Pacific Beat @ The Tank”, TalkinBroadway.com. Dec. 2017. “Kyoung’s Pacific Beat to Bring PILLOWTALK to The Tank this Winter”, Broadwayworld.com. Aug. 2017. “The Tank Announces New Season, New Home”, Theatermania.com. Aug. 2017. 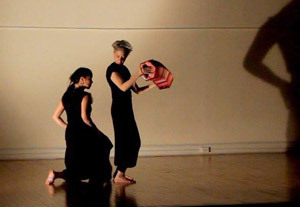 “Kyoung Park–BAC Story by Diep Tran”, Baryshnikov Arts Center, BAC Story. Jun. 2017. Thank you for supporting live performing arts. If you need a friends and family discount code just let me know. As always, I hope to see you at these performances, and if you do please stop by to say hello! 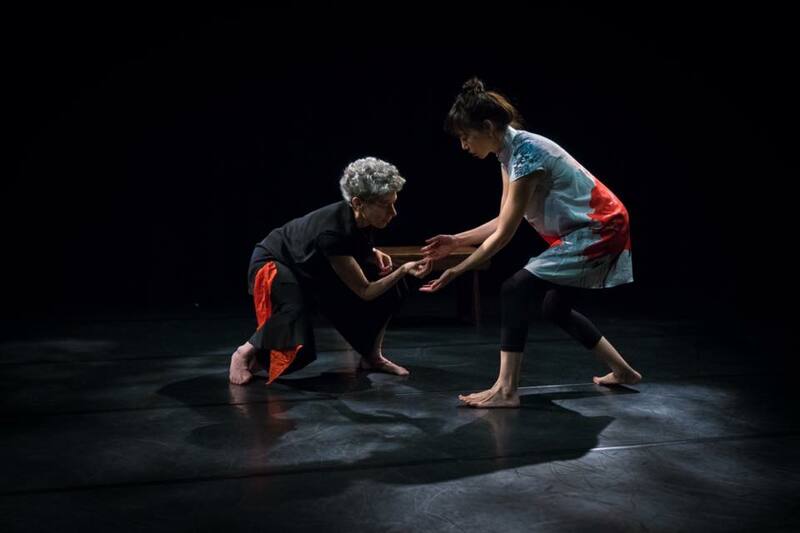 Deborah Gladstein and I will be performing our new duet, “Marrow”, Thursday-Saturday, May 11-13, at 7:30 pm, as part of the NewSteps Choreographers Series, presented by the Chen Dance Center. I love working with dance, and especially if there’s an element of improvisation involved. Live looping without a predetermined set of moves is a challenge in coordination and concentration, for sure. This performance from May 13, 2016 (a Friday!) felt solid, present and energetic. Thanks also to the inspiration from Chris Ferris’ dancing body and mind! You can watch the video! Clicking on the image should take you to Chris Ferris’ Vimeo page, where you can check out this and other works. Flight Pattern #59 for Performance Situation from Chris Ferris on Vimeo. 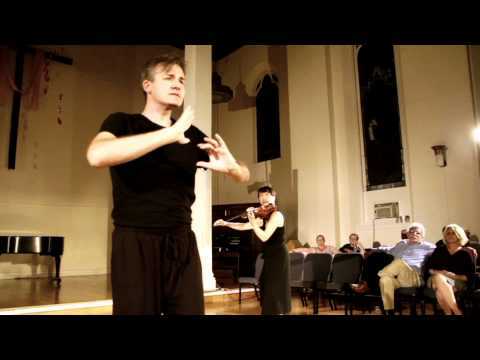 “On a String and a Prayer,” a spirited evening of dance, music and storytelling. 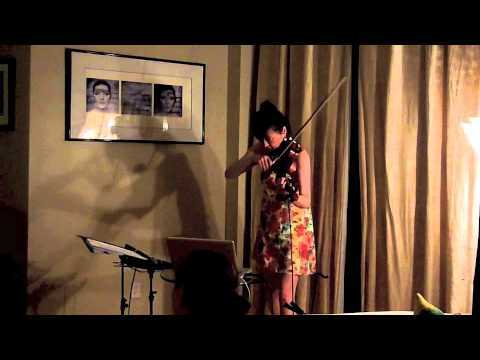 and violinist, Helen Yee. The dancers and musicians will explore ideas that blur the lines between dancer and musician, and which comes first – movement or music? Other performers will include dancers and choreographers Rachel Nunez, Madison Krekel, Mark Lamb, Sarah Pope, and Jennifer Wilenta. The evening features three sets interwoven with breaks for wine and homemade food, conversation and participation. Held in a church where “all are welcome”, come experience the warm fellowship that makes Metro Baptist a “home” for Mark Lamb Dance, and a special place for all who enter. Come and enjoy what The New York Times has called “a quintessential New York experience.” Be a part of the party as a church just off Times Square transforms itself into an elegant setting for nourishing both the spirit and stomach. 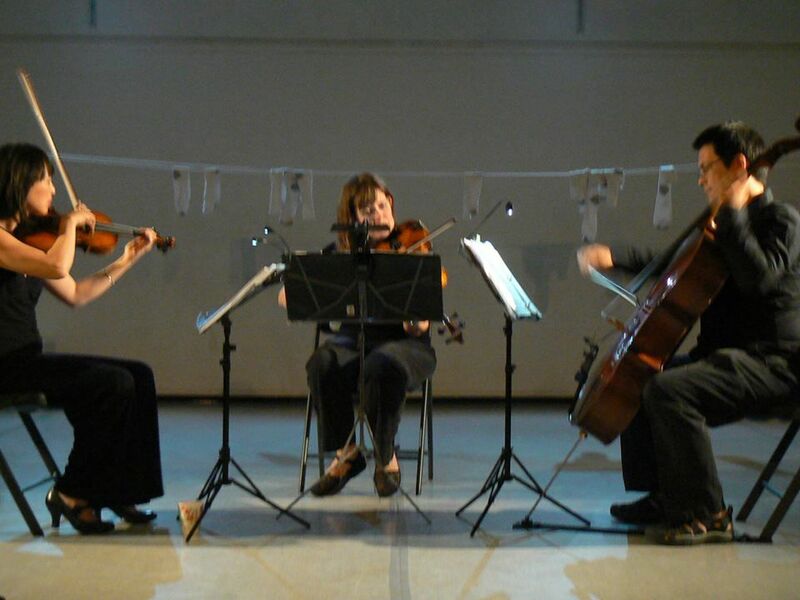 TRIO TRITTICALI is excited to return to Brooklyn for a unique show. We are all composer/performers in our own right, so we decided to showcase our individual talents with this performance. This concert will feature each of us performing our own solo compositions on the first half. 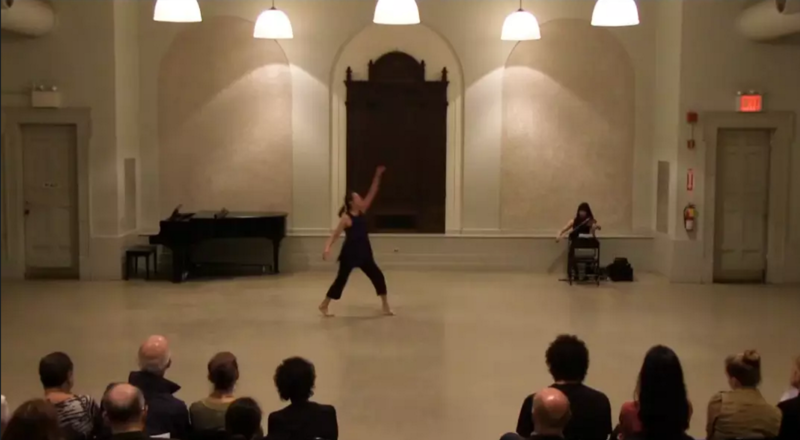 Featured in these compositions dancers Sarah Pope and Jennifer Wilenta, as well as electronic effects and general merriment. The second half will feature more trio originals, including a brand new piece by composer/violinist, Tom Swafford and a new surf rock arrangement. 58 Lincoln Pl., corner of 7th Ave. Happy new year, welcome to the YOTH! During this time I’ve been busily and happily working on this collaborative project, which you may have heard me talking about lately. 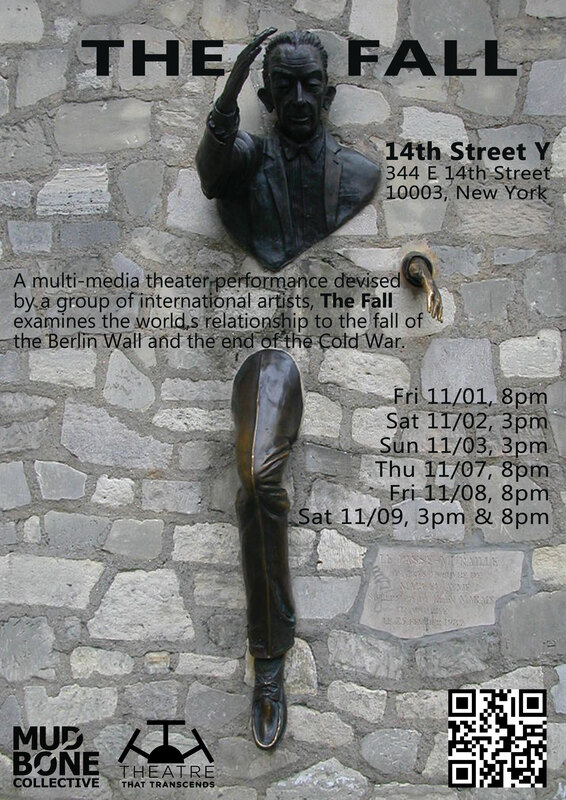 And now… On behalf of the entire team working on the Berlin Wall Project, I am excited to invite you to join us for the opening of the first Workshop of The Fall. Take a look at my November newsletter for more details! There will be closing festivities after the final performance on Saturday November 9th, 2013. We will also be hosting an EXPERT PANEL to discuss the event and our show after the closing performance. My apologies for another “better late than never” newsletter. I’ve got two performances for you on Saturday, June 8, 2013: one at 2pm at Flushing Library and the other at 7pm in Manhattan near the Port Authority. It’s a special day for I’ll be using almost everything I’ve got in one jam-packed day: playing the yangqin, percussion, violin, dancing, and throat singing!